Odd expression, she thought … couldn’t sleep. She could sleep. She knew how to sleep. She was physically able to sleep. It was just that this particular night, her eyes opened at 3 AM. She closed them, trying to imagine a blank white canvas, a movie theater screen, anything that was empty and neutral and filled with promise. But as soon as she pictured a giant sheet of paper in front of her eyes, she began filling it with words and numbers. As quickly as she tried to erase the words that formed … separation … invoice … overdue … divorce … other words took their place. Failure … emptiness … ending … loneliness. “Forget it,” she said out loud and switched on the lamp next to her bed. This particular lamp wasn’t designed to be placed on a nightstand. It was a modern Von Nessen desk lamp, white and graceful. It went with nothing else in her house. She bought it last month at a house sale, in the last hour, on the last day. It had been under piles of clothes in the basement, an odd outcast in a house full of dark Victorian furniture. At least that was all that was left when Jane wandered through the place at the end of the day. She lifted the lamp from its hiding place and held it up, knowing that it was not anything she needed or even wanted. She just knew it was beautiful. It was perfectly balanced, its white metal shade flaring decisively at just the right spot. The fifty-something couple—surely brother and sister, same nose and mouth, matching frowns–stationed with a cashbox at the front door, tired out after two days of seeing their childhood home ravaged, savaged and scavenged, shook their heads when they saw the lamp. The woman shrugged and the man repeated, “Two,” holding his fingers up like the peace sign. Jane paid the money and when she carried the lamp out of the dark, sad house, she held it up and studied it. It was dirty, but regal. A beautiful modern design that she knew must be the real thing. Quality modern design that her pal, Tim, would price in the hundreds. But she didn’t give the lamp to Tim to sell. She brought it home, into her bedroom, and cleared off the table next to her side of the bed. With one motion, she cleared the magazines and business cards and junk mail and catalogues and threw them all into a bag for recycling. She cleaned her lamp, looked it up on the internet and set it on the table, giving it the position of honor in a house full of objects, all of which had briefly held that place. She allowed her lamp to be the last thing she saw each night and the first thing she saw every morning. If objects could talk, could feel, could express themselves, Jane knew that all of the Bakelite, and 30’s and 40’s kitchenalia, all of the mission style oak and McCoy vases would have turned on this modern interloper. bjects, however, don’t talk or express feelings or keep their owners from lonely sleepless nights. If one is lucky, they function in the way they are supposed to and if one is even luckier, they look beautiful as they do it. What was that sound? Jane heard a thrumming noise from somewhere in the house. Is that what had awakened her? A belt going out in the refrigerator motor? Jane sat up a little straighter and picked up the notebook she had left lying next to her in the bed. On page one, she had begun to craft a budget, or what she called a budget. It was really just a list, random and arbitrary. Nick’s clothes. Nick’s books. Nick’s binoculars. Nick’s backpack. Dog food. Heisey punch bowl. Did she count the punch bowl if she was going to send it to Muriel or her cousin, Miriam, to sell at their shop in Ohio? Of course not, that should be in a different list altogether. It didn’t belong with haircuts, car insurance, shampoo, gasoline, toothpaste. “Aren’t those the stages of grief?” Jane asked Rita. Rita, a giant mass of a dog was doing her best rug imitation next to Jane’s bed, but perked up one ear when Jane addressed her. How marooned had she been? Lost? Adrift? Not hardly. Her husband, Charley, was a tenured professor and she herself had been given a handsome severance package. After a decent mourning period consisting of sleeping late and eating a lot of bacon dipped in brown sugar, she began hitting the sales, early and regular. She hadn’t planned to find her second career as a picker. She didn’t earn much at first, but over the past few years, she had turned over a few excellent pieces of furniture, one good painting, several pieces of jewelry, the odd bits of flotsam and jetsam from weekly sales and rummaging. And the pottery? It turned out that Jane had an eye for art pottery and could spot a good piece from across a basketball court-sized church basement hall. If she made a beeline and grabbed the possible Weller vase without losing her way and getting distracted at the linens table to peek into a promising box of buttons and rickrack, sniffing out Bakelite and decorative needle packages, she could grab a really good piece of American pottery for a few dollars. “What is that?” Jane asked out loud. The buzzing had started again. Was the de-humidifier shorting out? Was the house about to burst into flames? Jane swung her leg over the bed, digging her toes into Rita’s back and allowed herself the moment of sheer pleasure that it gave her. Rita also allowed Jane her moment, before creeping into the corner of the bedroom and turning to watch her mistress. Was she getting up for good or roaming the house? Wherever she landed, Rita would go and quietly keep watch. Jane stood up, gathering her list-filled notebook, pens, and last Sunday’s crossword. There was no reason to remain wide-eyed in bed. Better to be sleepy-eyed roaming the house. A loose sheet fell from her notebook. It was one of her rummage sale lists from last week. 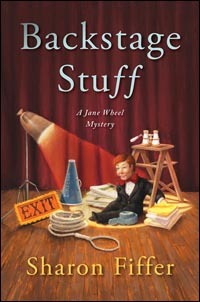 Next to sewing Jane had sketched a pin cushion that Muriel described—a wooden drawer topped with wire posts for thread spools and perched on top, like a second story, a pincushion covered in nappy velvet. Muriel…or was it Miriam… had a customer who collected pincushions. She had just missed one like this at an auction and now, like an itch she couldn’t scratch, she wanted that particular example of cushion. Jane smiled. She had not found it yet, but she would. At the rummage sale last week, when she tried to follow this list, she hadn’t found any of cousins’ items, but she had found two fabulous vases. And indeed, she had spotted them from the doorway when she entered the hall. Tim Lowry, her friend, mentor, bossy know-it-all, threatened to put blinders on her. Jane dropped her papers and pens next to her favorite chair in the kitchen. She pressed her ear to the refrigerator. Nothing. Jane wandered through the house. She paused to look at the small restaurant creamers tucked into a bookshelf in the living room. There were six…enough to box up and send off to the ladies to sell. She had enjoyed them long enough. She turned around and scanned the room, trying to be a good, responsible picker. What else was ripe and ready to be sent off to market? Being laid off had led to full-time picking and then, of course, there were the murders. She was good at solving them, too. Had she not been forced to leave her corporate job, would she have discovered her inner Nancy Drew? Would she have been racing around to garage sales, scrambling to find the best stuff until she stumbled over her neighbor’s body? Would she have met Detective Oh? Bottom line? When she was downsized, back before everyone was just fired, before whole departments were demolished, before firms dissolved and disappeared and the people she had known in the corporate world were wandering through interviews and a bizarro world of networking and refitting themselves for a marketplace they no longer recognized, Jane had support. She had Charley and Nick and Tim and even her parents, Don and Nellie in Kankakee, offering her a safe enough haven. And now she had Detective Oh, who believed in her and believed she had the talent to…what was that talent he saw in her? “You see the objects around people, Mrs. Wheel. You see the space they occupy and the negative space they leave. And where the two spaces intersect, you see the true nature of people and things.” Yeah, Jane thought, he sees my talent for whatever that is. Jane selected a volume from a Harper and Company Shakespeare collection. These books were in outstanding condition. Well over a hundred years old, but so well-cared for. The Comedy of Errors. Seemed appropriate. The books had lived on her shelf for six months. If she sold these, the money would pay for the new sleeping bag she had bought Nick yesterday. The soft burr, burr again. An aggravated purr? Had Nick brought home some animal and forgotten to tell her? Jane had risen from the ashes of her advertising career to become Jane Wheel PPI, picker and private investigator. So a setback like getting downsized, the hurdle of finding new work, the bump in the road …Jane was the proof that normally those flies in the ointment set you skittering off, albeit kicking and screaming, on a better path. And now Charley had set up this new hurdle—had asked her for a divorce—should that be classified as a set back or would it be better described as a bump in the road? If this divorce were a fly in the ointment, it surely couldn’t be a small buzzing insect struggling in a teaspoon—it would, at least, be movie actor Jeff Goldblum, morphing into a hairy monster, struggling through a roomful of jello. Jane made herself smile at that picture. “Some detective I am,” Jane said. “Can’t even find a noise. Maybe it’s in my head, maybe something has finally come loose for real. I am talking to myself, replaying old horror movies. Maybe it’s a light bulb, ready to blow…damn it,” she said, looking at the big schoolroom clock hanging in the kitchen. 3:45 AM. It wouldn’t be light for another few hours, but Jane knew any chance for sleep was gone. Time to stop prowling through the house like a cat burglar, deciding what she could sell the fastest to pay this month’s bills. Jane went back to the bedroom, grabbed her quilt and dragged it into the kitchen and threw it into the big stuffed chair. The chair had been a great bargain, but hadn’t fit anywhere else in the house when Jane dragged it in, thinking its spot in the kitchen would be temporary. The first time she visited Jane’s house, Nellie offered her daughter an unvarnished opinion. “What the hell you want a put a living room chair in the kitchen for? “ she had asked, sitting down in it. “It’s going to get all dirty.” From its spot in the corner, Nellie could watch Jane’s every move in the kitchen. “Dry your glasses better than that, you’re going to have spots,” she said, putting her feet up on the small hassock. It was the only time Jane ever saw her mother sit down in a kitchen. The chair stayed. Maybe Jane could nod off there. She curled up in her chair, placed her notebook on top of her laptop that lay next to her newest device, a smart phone that Tim had bought for her. He had called it her aspirational device—Jane should aspire to learn to use it, to be as smart as it was. “It will keep you in constant touch,” Tim had said, “with Nick and me and everyone.” He had given Nick an identical phone and made sure that they both had international calling packages—a hefty chunk of time already prepaid. Jane smiled every time she looked at the pretty thing—not her style—but she could appreciate great design—and it made her sadly happy that Tim was concerned enough to place this object in her hands. To anyone peering in on Jane Wheel, this phone, in addition to the laptop, in her cozy kitchen corner created a misleading tableau. A peeping Tom would have seen a small disheveled woman, still youthful enough, wistfully pretty, wrapped in a blanket, holding a cup of something steamy, surrounded by her modern devices, quite likely ready to type out the great American novel. Rather than writing fiction, which Jane would have made far less trite, far less cliché than the current non-fiction of her life, she was simply a woman who had been asked to make a proper budget. A list of household expenses was the actual phrase. She had to make this budget to give to her lawyer who would, in turn, present it to another lawyer. Jane Wheel was a woman with insomnia whose husband had asked her for a divorce and she was delaying the paperwork. It didn’t get any more cliché than that, did it? No…a legal separation. She had been told to differentiate. Jane and Charley were not getting a divorce. Yet…not yet. Remarkably, this turn of events, this legal separation, made Jane feel almost exactly as if she had been let go by Rooney and Rooney all over again. The major difference, Jane knew, was that when she had come home with personal things from her office in a paper sack, Charley had been there to dry her tears. This time, Charley phoned her from Central America, explaining that it was he who wouldn’t be coming home. He had decided to pursue his passion, but needed to do it alone, unfettered. It wasn’t anything she had done, he hadn’t seen it coming, he was sure it would work out…. And, just like that, Jane was fired all over again. So Jane, who had neglected all household chores to pursue stuff at auctions and flea markets, garage sales and rummage sales and who, more recently, had been on 24 hour call for Detective Oh as an ersatz partner in his investigation business; Jane, who had happily packed Charley off to this dig and that site for months at a time, missing him, yes, but also cherishing her time alone, was the one who was left. Anyone who had paid attention, who had been keeping score in this marriage would have bet even money that Jane was the one who would snap the line, who would demand freedom to find the treasure and catch the bad guy. Who would have thought that Charley would do the unfettering? Jane added a few more items to her household expenses list–cleaning supplies, groceries… Jane didn’t really clean all that well or cook regularly, but she often found herself buying supplies. 5AM. Jane heard Nick’s alarm. He never had to be reminded to wake up on a travel day. She fixed Nick’s favorite breakfast. Jane could poach eggs and Nick loved them on top of buttered toast. While the water was heating to a simmer, she grabbed extra T-shirts from the laundry basket and stuffed them into Nick’s pack. Scanning the kitchen, she randomly added items, wanting somehow to provide the very thing her son would most need. “Mom, you’re not packing me more stuff, are you?” Nick said, wide awake, dressed for his trip in khaki shorts and a striped knit polo shirt. “Passport? Jane asked. Nick slapped his right cargo pocket and dug into his eggs. She and Charley had made Nick their priority, making sure they never let any stray bits of anger, any clouded moments of grief or regret or recrimination put him into shadow. Nick knew, of course, that this separation of his mother and father was different, weightier than the usual comings and goings, but his parents had lived separate lives and professed happiness at doing so for so long, this legal pronouncement of separation did not carry the jolt it might for a child of a two-parent-in-constant-residence-all-meeting-for-meals-at-the-table kind of family. Did Nick notice his mother’s sleeplessness? Did he hear her drift off in the middle of a sentence? Sometimes. But Nick was a teenager, a self-professed geek who could lose himself sifting through soil at a digging site as quickly and deeply as could his dad. And Nick had grown up watching Jane get glassy-eyed, sifting through a tin of buttons, rubbing her thumb over a red plastic disc until she produced the formaldehyde perfume of her beloved Bakelite. Each member of this odd triangle of a family had a method and a madness for getting lost in work, in play, in passion. And Jane and Charley, for all the things they had done wrong in their lives together had done one thing right. They had loved their son, put him first and made sure he was on solid ground with each of them. “No fault, said Tim, correcting her. “Tech to tech each other?” Nick said, finally interested in what his mother was saying. He stopped tossing clothes overboard, lightening the load of his backpack which he had filled with essentials and which his mother, he now saw, had stuffed with extras. “That’s what Tim called it. There’s a keyboard and I can type messages,” said Jane, shocked and appalled at how quickly they were nearing the airport. Jane realized just how vacant she had been as Tim had handed her the phone, It was such a new, shiny thing, she figured there must be a new terminology for it. Of course, she and Nick could text more easily. Tim was trying to think of everything. “Sign up for Facebook and Twitter. Tim’ll show you how. Dad set up a site for the dig so you can follow what we’re doing with pictures of everything. It’s going to be cool and it’ll be like you’re there,” said Nick, tossing an extra tube of toothpaste on the floor of the car. “Tweet,” said Nick, pawing through the ziplock back of snacks and throwing the banana yogurt flavored bars on the floor. The dull buzz had morphed into a loud banging. Tim was standing on the porch, his phone glued to his ear, knocking and yelling. “Where have you been all night?” asked Tim, still holding his phone, waiting for whomever to answer on the other end. Jane followed Tim who didn’t answer, but walked straight back to the kitchen. He scanned the kitchen counter, the small round table. He moved the morning newspapers aside from where Jane had scattered them. Tim had fixed his stare on the small metal typewriter table next to the comfy chair. He whirled on Jane, almost ready to speak, then flopped into the chair. Tim looked down at the table at Jane’s phone, a twin to the one he held in his hand. Tim picked up Jane’s phone, slid his finger across the touch screen and showed her where to find her missed calls. There were twelve—all from Tim Lowry. Tim ran his fingers through his hair. He looked as exhausted as Jane felt. “It better be a hell of a house sale,” said Jane. “It’s going to take three floors of untouched treasures and a basement full of packed boxes from four generations. And an attic full of vintage purses and jewelry and gorgeous old hard-sided suitcases filled with buttons. “I got you something better than that sweetheart,” said Tim, with a smile. 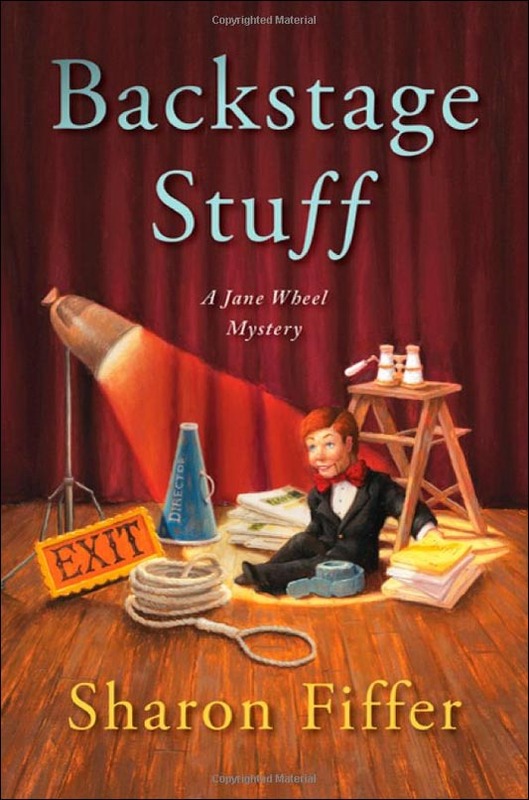 “Better than a suitcase full of buttons?” Jane asked, aware of a strange sensation. She felt like something cracked inside—but instead of something breaking, she felt something warm seeping in. Her whole body felt as if it might be thawing… She began to smile.